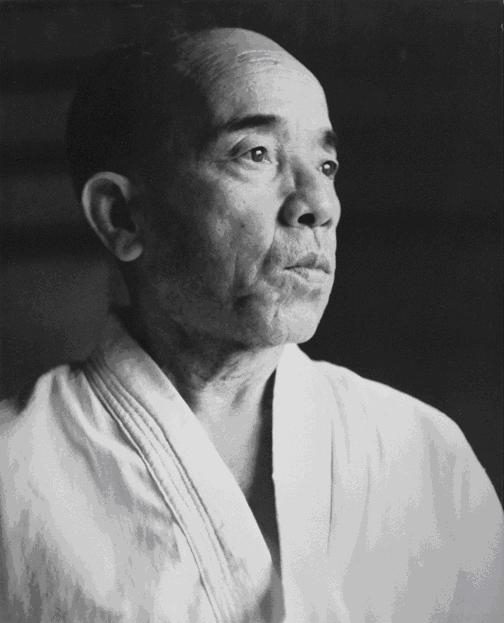 Shimabukuro Zenryō (1909–1969) was born in 1909 in the Kubagawa village of Shuri. It was the same year that Uechi-ryū founder Uechi Kanbun returned from Fujian, China. It was around his secondary school years when Zenryō with sparkling eyes listened to a number of sagas about Ankō Itosu, told by a school teacher who had trained under the famous master. After graduation Zenryō entered apprenticeship at a store for confectionery production. In 1926, at the age of 18 years, he went to Osaka were he had found employment at a store that produced food and drink. To accumulate funds for his own future dream he also polished his skills in cooking. In 1931 he returned home to Okinawa. In this year the so-called “15-Years-War” of Japanese military aggression in Asia began with Manchurian Incident, continued by the Japanese-Chinese War of 1937 and the Japanese attack on Pearl Harbour in 1941, with the following War in the Pacific which ended with the Japanese capitulation in 1945. In 1933, two years after he returned to Okinawa, at the age of 24, Zenryō relocated to Chatan and with the funds and experience he had collected he opened his own “Shimabukuro Confectionery Shop”. For his thriving business and to carry his goods to and around Kadena he used a bicycle and the light railway of that era. Around that time there was an expert of the Shuri-te known by the nickname of Chan Mī’gwa who taught karate at the agriculture and forestry school and Zenryō had his fateful encounter with Kyan Chōtoku. Like this Zenryō was finally able to walk the path of the warrior he had been dreaming about since his boyhood. This was in 1935, Zenryō was 26 years old. Among the many persons of that time who had a number of teachers, Zenryō was the only one who looked upon Kyan as his sole lifelong master. He cumulated the practice of Sēsan, Anankū, Wanshū, Passai, Ūsēshī, Chintō, and Kūsankū as the seven main kata of Kyan as well as Tokumine-no-Kon. Together with Nakazato Jōen (Shōrinji-ryū) and Shimabukuro Tatsuo (Isshin-ryū), Zenryō became instrumental in the spread of Kyan’s karate. 1945 the war situation worsened. With the commencement of the Battle of Okinawa war covered all of the island and Zenryō became a cue ball of fate. Drafted into military defense he wandered the mountains of Yanbaru under fire, but was able to make a narrow escape and to reunite with his family. In September of this year, the life of his teacher Kyan ended at age 76 in the Ishikawa POW camp. Shortly after the war Shimabukuro relocated to Chatan Shakari and for 5 or 6 years worked for the A.J. Company at Camp Kuwae (Camp Lester). Around that time Nakama Chōzō (Shōrin-ryū) also found employment at the A.J. Company and came to know Zenryō. Chōzō lived at Zenryō’s house in subtenancy and they commuted to and from work together every day, and returned to the family in Shuri on weekends. When it was night, Zenryō and Chōzō would train and discuss karate at the turtle tomb on the grave yard in the back of the house. Since around that time his oldest son Zenpō together with his cousin Giji also began to walk the path of karate. Besides Zenryō and Chōzō, disciples of Uechi-ryū also found employment at the A.J. Company, such as Itokazu Seiki, Iraha Kōtoku, and Tomoyose Ryūkō. There are a number of karate episodes from this era. Afterwards Zenryō quit his job at Camp Kuwae and resumed his confectionery shop at his home in Shakari, which flourished as Shakari’s sole candy store. Prior to the war and after his job at Camp Kuwae the shop was known as “Shimabuku nu Gwā-sha”. However, as the boom in the post-war military ended and as base employees from Chatan village left to return to their homeland, the vibrant life in Chatan Shakari also disappeared and due to the severe business situation the candy store finally closed down. Afterwards Zenryō was instrumental in the development of the region and served two terms of four years each as a district mayor of Shakari. In 1952, at the age of 43, aiming at inheriting and spreading the Kyan mainstream he started to teach karate to the youth of his area. Seven years after the war and with traces of the war damage still remaining, Zenryō started teaching karate on a 6 tatami place at his home in Shakari. In 1958, in response to a request by the US troops, he also began teaching karate on base along with the eldest son Zenpō, at that time high school student. In the gyms on base frequently other sports were practiced. The eldest son Zenpō felt unhappy about this and proposed building a karate dōjō at which practice was possible at any time. The dōjō was built using concrete mixer trucks and pump trucks provided through cooperation of local residents, that is, in the spirit of mutual assistance called Yuimāru in Okinawa. The new dōjō building of reinforced concrete was completed in 1962 in Chatan Yoshihara Number 1003, with 35 square meters and a signboard erected bearing the name Seibukan. By means of instruction given on base there was also a synergy effect so that the Seibukan dōjō was vibrant and full of young American soldiers. At that time 80% of the students were US military personnel stationed on Okinawa. Around that time, as a foundation for Kyan mainstream kata, Zenryō created the kata called Wanchin. This Wanchin – largely made up from parts of Kūsanku, Passai, and Gojūshiho – was favored by US soldiers during demonstrations. In 1960, in response to a call by Tamotsu Isamu (Renshinkan), who had trained 4 months earlier this year (and also previously since 1954) under Zenryō previously and had returned to his hometown of Kagoshima, Zenryō became a member of the (old) Zen Nihon Karate-dō Renmei. He formed the Okinawa branch of it under the name of “Zen Nihon Karate-dō Renmei – Okinawa District Special Headquarters”, of which he assumed presidency. Among the board members of the time were Nakamura Shigeru (Okinawa Kenpō) as the Saikō Shihan (highest teacher) and Kaneshima Shinsuke (Tōzan-ryū) and Yonaha Seigyū (Shōrin-ryū) as counselors. At that time the (old) Zen Nihon Karate-dō Renmei studied the implementation of competition as well as the improvement of armor, which was not like todays light armor. 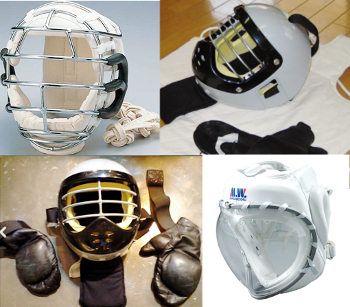 Wearing kendō headgear and slightly improved body protectors it was the era of the so-called “kumite with armor”. Zenryō, committed to the spread of armored kumite, dispatched athletes to tournaments in Fukuoka, Saga, Kumamoto, Tokyo and others. Among the athletes were his son and Zenpō as well as foreign athletes, who held up the honor of the style. In 1965 Zenryō left the (old) Zen Nihon Karate-dō Renmei, and newly launched the “Okinawa Karate-dō Rengōkai” as an autonomous organization for traditional karate, of which he became the chairman. Around this time, on invitation by an American student, Zenryō dispatched his eldest son Zenpō to the United States where he taught for 3 years in Pennsylvania. Eventually there was a movement of unifying the karate organizations in the prefecture, so in February 1967 the Zen Okinawa Karate-dō Renmei was established, with Nagamine Shōshin as president and Zenryō as vice-president. Committed towards the interests of prefectural karate world, Zenryō was awarded the title of hanshi 10. dan by this federation the same year. In October 1969, the “1st All Japan Karate Championships” was held at the Nippon Budōkan, organized by the (new) Zen Nihon Karate-dō Renmei under Chairman Sasakawa Ryōichi. Five hanshi and 15 kodansha (=5th dan upwards) of the Zen Okinawa Karate-dō Renmei were invited to give demonstrations. Zenryō demonstrated the kata called Sēsan and received a large applause by over 10,000 spectators that filled the venue. On the way back home they stopped by for an invitation demonstration in Osaka, where Shimabukuro Zenryō passed away due to a sudden illness. In Okinawa armored kumite is said to have developed under Nakamura Shigeru and others, yet this is an Okinawan “inside view”. In the postwar era in Japan the (old) Zen Nihon Karate-dō Renmei was all about armored kumite. and this is the organization which Shimabukuro Zenryō, Nakamura Shigeru and others joined in 1960. Bogu from different stages of development for armored karate (Strongman, Supersafe, Kenpo). However, the armored kumite of this organzation began already right after the war, in 1945, with the Kanbukan (Kinjō Hiroshi and others) at the core, which was run with permission of Tōyama Kanken. Here postwar armored kumite was born. Among the groups who became affiliated were the Yōseikan (the later Chitōkai), the Renshinkan and others. In 1954 the Kanbukan was renamed to Renbukan around which in 1959 the old Zen Nihon Karate-dō Renmei was established. For the sake of an international spread of karate, in 1964 this group relinquished the name to the new Zen Nihon Karate-dō Renmei, which is the modern JKF with its sun-dome Kumite and mass compatible kata competitions. Both the old and the new organizations have the same name in Japanese, namely Zen Nihon Karate-do Renmei 全日本空手道連盟. Notwithstanding, the old one is usually translated as Federation of All Japan Karatedo Organizations (FAJKO), but the new one as Japan Karate Federation (JKF). This creates a completely wrong impression. In reality there is the old JKF, and the new JKF. It is also much easier to memorize. The change to new JKF was the reason that Shimabukuro resigned from the organization for obvious reasons. Why the Okinawans didn’t continue armored kumite is not clear, as it continued ever since. This entry was posted in Kyan Chotoku, Postwar Okinawa Karate and tagged bogu kumite, Camp Kuwae, Iraha Kotoku, Itokazu Seiki, Kyan Chotoku, Nakama Chozo, Nakazato Joen, Shimabuku Tatsuo, Shimabukuro Zenpo, Shimabukuro Zenryo, Tomoyose Ryuko, Uechi Kanbun, Yonaha Seigyu. Bookmark the permalink.